This month we’re doing things a bit differently than we usually do. Typically, one of our global members will choose a theme and curate a podcast playlist around that theme, usually a sampling of a few different podcasts. But, that means it’s difficult for us to do anything that is more serialized in nature, which excludes a lot of great content. So, we’re mixing it up. 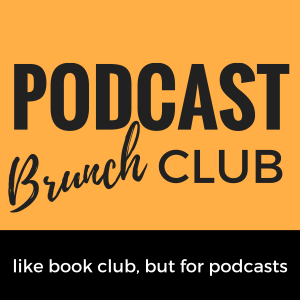 I had our chapter leaders from all over the world put forward their recommendations for a binge listen month and then we voted to narrow it down to three podcasts: Last Seen, Serial Season 3, and Fatal Voyage. We then put those three podcasts to a vote in the global Facebook group. A lot of you weighed in and it was close! But, ultimately one rose to the top. 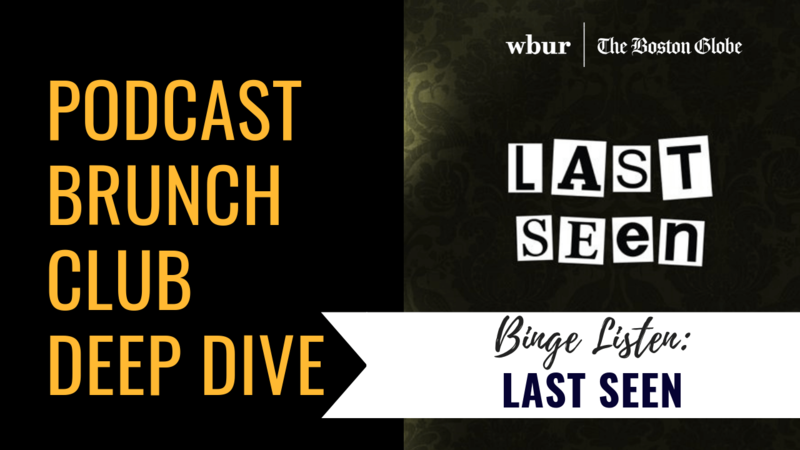 So, without further ado, this month we are doing a binge listen of Last Seen from WBUR and the Boston Globe. It’s about the largest unsolved art heist in history–it took place at the Isabella Stewart Gardner Museum in Boston in 1990. Over half a billion dollars worth of art was stolen and not a single piece has been recovered. This podcast digs into the various theories and characters that may (or may not) have been involved in the heist. 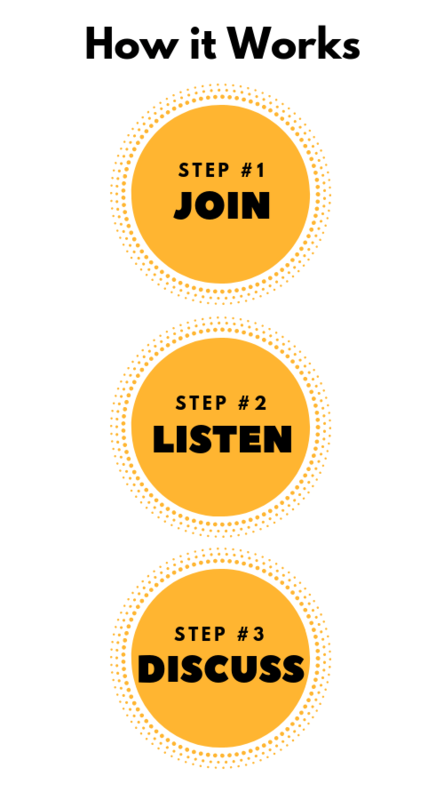 I am very much looking for honest feedback on whether this binge listen/deep dive concept works out well this month. Tell me if you liked it. Tell me if you didn’t. If I get enough positive feedback about it, I will try to add this to a regular rotation…perhaps quarterly. But, *please* let me know how you feel it worked out. PBC is a community and you are a part of that community….so speak up! Sara interviews Kelly Horan, senior producer and a senior reporter of the Last Seen podcast from WBUR and The Boston Globe. In this roundup episode, Sara and Adela chat about the Last Seen deep dive. We also get community feedback about the series from PBC members worldwide. And then we diverge from the binge listen and do a year-end superlatives award segment for the podcast landscape. Generally, did you enjoy the podcast? Does a limited run series like this have to have a conclusion to be satisfying? Do you think any of the characters talked about in the podcast are guilty of the heist? What is your favorite theory? What is your favorite piece of the 13 stolen? So many investigative journalism podcast series have come out recently and some of them have had a real impact on cases…(for example, it could be said that the reporting done on both seasons of In The Dark had real world impact after the reporting was completed. While Last Seen didn’t solve the case, there was a moment in the series that felt like there may be a breakthrough caused by the reporting. Discuss the role of podcasts in investigations, the ethics involved in reporting those investigations, and potential problems that can arise especially when the podcast creator is not a trained journalist. What did you think of the concept of stealing art as “crime insurance”? Was that a concept you have ever heard of before…committing a smaller crime so that it provides you a way out of a larger crime?